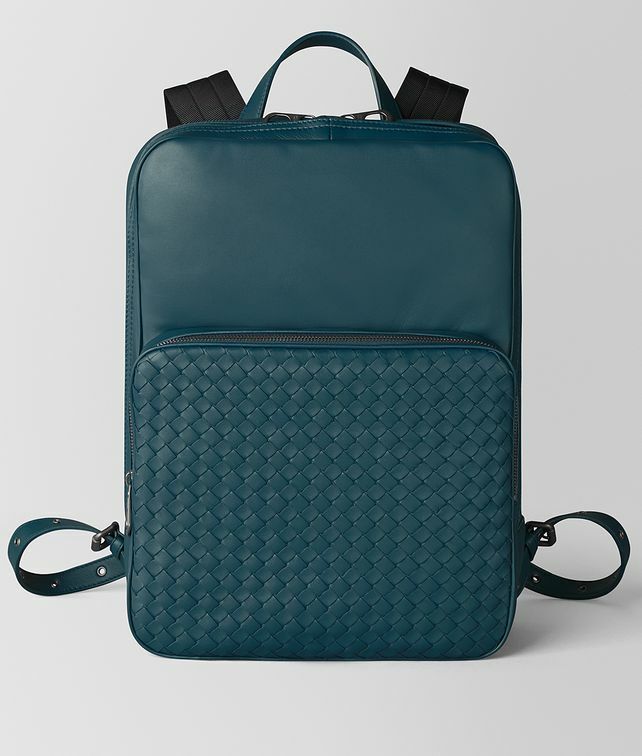 This classic, clean-lined backpack is crafted from soft nappa leather. It features a capacious exterior pocket in hand-woven intrecciato and adjustable nylon shoulder straps for comfortably carrying. Finished with a cotton-lined interior fitted with a padded pocket for tech devices and a zipped interior pocket. Height: 37 cm | 16.9"
Width: 27 cm | 17.7"
Depth: 10.5 cm | 4.1"